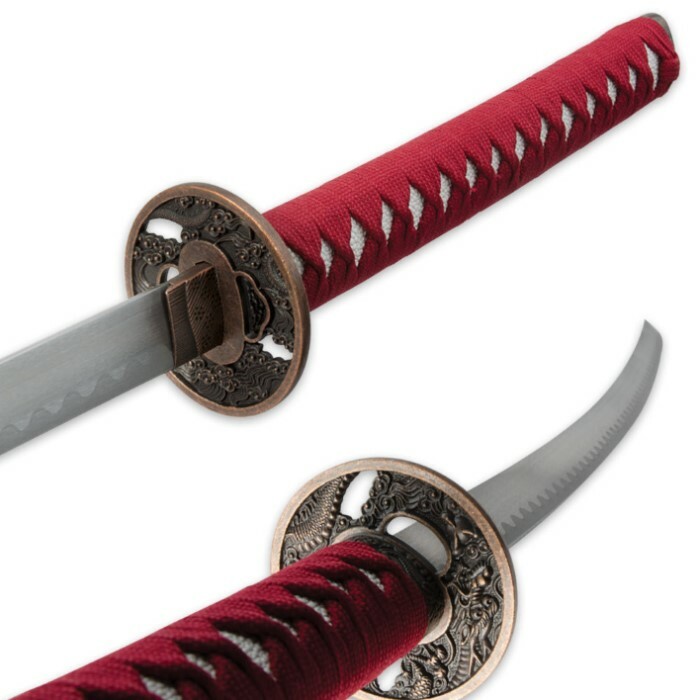 Maroon Katana with Gold Flying Dragon Scabbard | BUDK.com - Knives & Swords At The Lowest Prices! 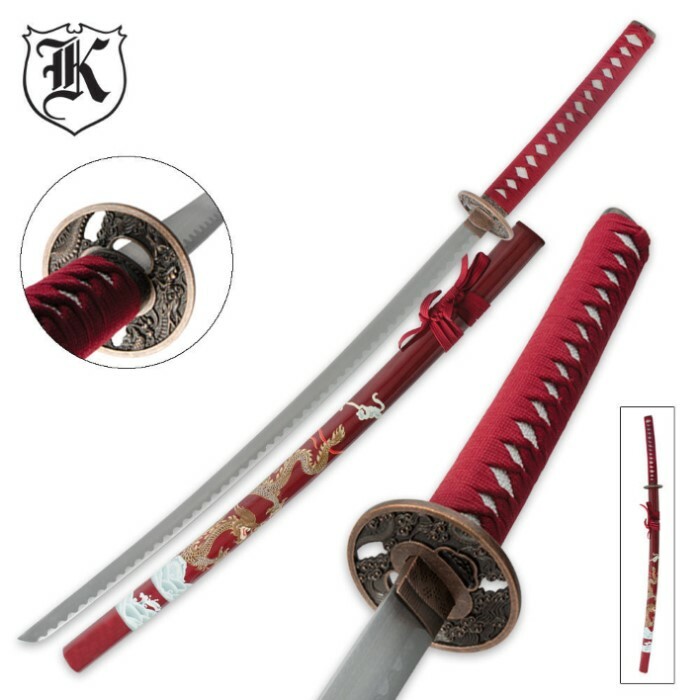 The Maroon Flying Dragon katana is a beautiful sword! The maroon scabbard features a painted dragon scene with gold foil accents in the design. The handle has a maroon nylon cord wrapping with imitation ray skin. 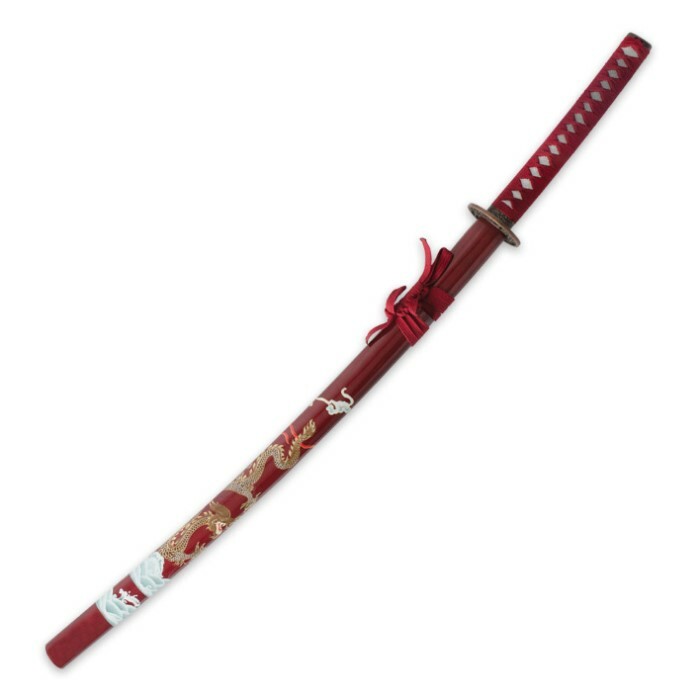 The carbon steel blade is polished for a sleek look and the antique cast metal alloy tsuba and accents add to the beauty of this sword. Got this for my birthday, and I'm very happy with it. The art on the scabbard is beautiful. It isn't exactly a sword for cutting things and fighting robots, zombies, and monsters but makes a very nice display and conversation piece.